This Expert Advisor does not take positions, This EA is made just for: "trailing stop loss". 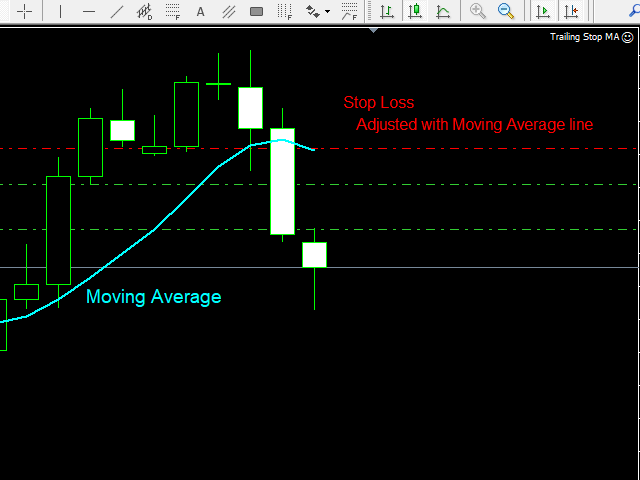 The expert moves the SL by Moving Average value or by last candle's high or low(candle trailing). 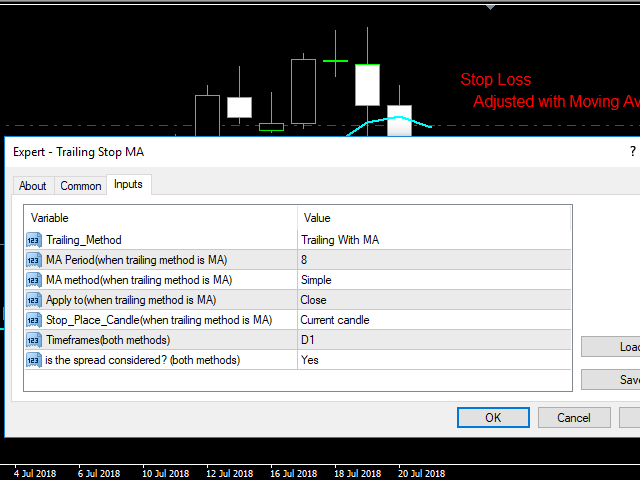 Trailing Method(trailing by moving average value or candle trailing). MA Period(period of moving average). MA Method(simple, exponential, smoothed, linear weighted). Stop Place(put SL in current candle or last close candle). If you enjoy, please see other products.